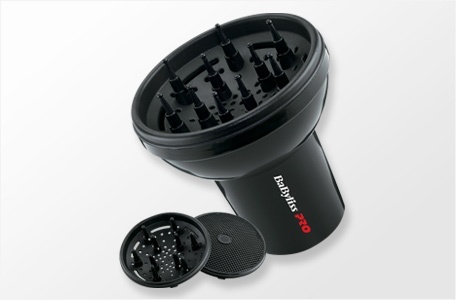 Straight to wavy hair in an instant – no tongs needed! 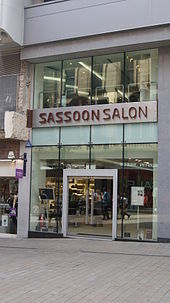 I recently went to the Vidal Sasoon Salon in my hometown of Leeds and have to say thanks to the lovely Nancy I came out rather impressed. 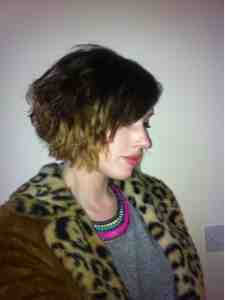 My hair cut was just what I was after- I’m surprised I didn’t bump into a lamp post on the way home I was fluffing my hair in so many shop windows, but what impressed me was that she really took into account what I wanted and cut and styled my hair with its natural wave in mind; working with it rather than against it. How many times have you visited a salon and ended up leaving with poker straight hair as that is how they had to style it to see their cut, leaving you speedwalking home, feeling all awkward, then to hop straight into the shower so you can wash and style it yourself? On my visit I also picked up three top tips, to get great texture in straight-wavy hair easily at home, without the need to spend ages tonging it! 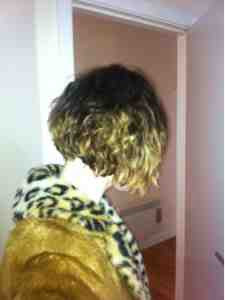 Apparently when looking at enhancing the curl in hair that is less than curly, it really is all in the cut. Adding layers in a shorter to mid length hair, enough to graduate it up and take out any bulk is apparently all that is needed to start to coax your curl. Redken Curvaceous or any curl enhancing product is the next step. Nancy applied this to my towel dried hair after it had been cut. But instead of just plonking it on and combing it through like I would have done she worked round my head twisting it in sections, till it looked like I had mini dread locks all over my head. 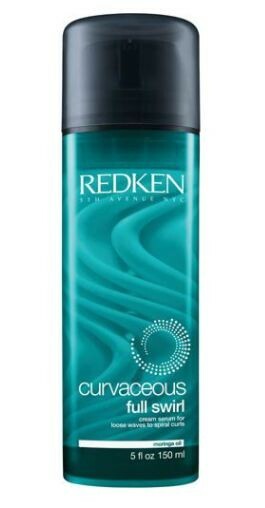 Redken curvaceous worked really well for me and has the added benefit of being nourishing as well as providing definition. To finish the job she used a diffuser. At home I would have just let my hair dry naturally, however (and now it seems so obvious) once the curls are twirled in place to set the spirals they need to be held in place and dried with a diffuser. A top tip she said was not to rush this bit and if you get bored when you do it then you are doing it right! So go forth and release your texture! Great hairstyle! Thank you for your comment in my blog and for following me! Following you back! Great post! I just came across your blog and I love it! Hey, you have a very fabulous hair. Its so cute.